There might be 365 things I could say I want. But really there are only 5-8 I would feel comfortable asking someone else to purchase for me. That’s because the price is too high or I’m scared they will get the wrong style or brand. Some years, this wish list becomes more of a regrettable chore to compile than something I enjoy doing. Anyone else have this experience? 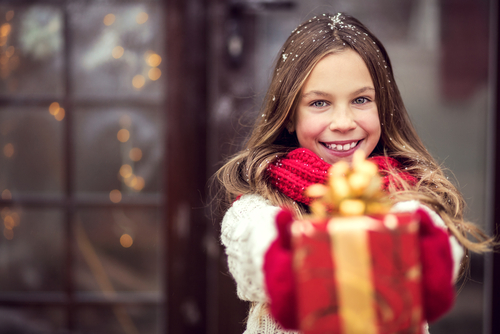 So the question becomes, “How do I get the most out of my Christmas wish lists?” How can I maximize my return during the Christmas season and more importantly on Christmas morning? I’ve thought a lot about this over the years. The older I get the more convinced I am that what I’m about to say is true. Want to get the most out of Christmas so that you feel very satisfied when January roles around? Your Christmas…my Christmas…should be about giving. Don’t get me wrong – I love to receive. But different pleasure zones in my brain are activated when I give. And they go into overdrive when I see people really appreciate it. The pleasure of giving goes deeper than the pleasure of receiving. It makes me feel better. And the feeling stays with me longer. Why do the rewards of giving last longer? Let’s look at a comparison between the two. Shows others you care about them by being in tune with their needs. Stifles selfishness by placing our focus on others. Brings internal and eternal blessings that can’t be measured. I believe the above giving principles are 100% true, given just one caveat…Motive. You invalidate everything that was just listed in the giving category if you give for the wrong reasons. Enjoy this holiday season to the fullest. Have fun with your holiday to-do list and your present wish list. They will bring you great fulfillment, But remember, to get the most lasting benefit out of Christmas, you have to give. Questions for Discussion (leave a comment below): What do you do to get the most out of Christmas time? Do the holidays ever frustrate you? How has giving impacted your life?